Well what a game that THQ Games have delivered to us this year as this new instalment of the UFC series of games delivers so much more than the previous games which came under much debate after last years edition. UFC Undisputed 3 takes the world of mixed martial arts to whole new levels as you embark on the world famous UFC roster in your hunt for glory. Players will be able to enjoy the competitive edge of this game as it features all the usual facilities of the previous games as well as a completely updated roster of all the latest UFC fighters. What we found about this game is that it has been improved considerably in the way of player control as the controls have now been made so much easier to use eliminating the need for constant spinning of the right analogue stick. This makes the game so much more enjoyable and after many hours reviewing it we could not have asked for a better game to come from this series. The graphics which have never been in doubt are amazing and very high detailed adding to the overall realistic experience of the game. 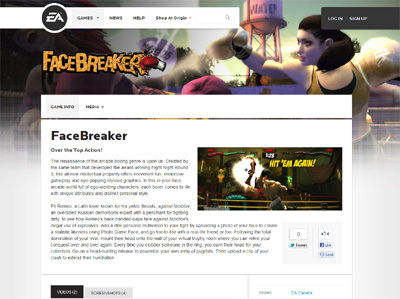 All the usual characters are in the game such as Anderson Silva, John Jones and Sugar Rashad Evans among many others. What a great game this is in every way and we have to say we love it so much that it takes a perfect score with it from the Game Reviews Team. We have compiled a Review System for this, of which UFC Undisputed 3 is rated as Five Stars, the highest possible score from the Game Reviews Team. Rocky Legends is the boxing game that in my opinion revolutionized the way boxing games are made today and has provided me with countless hours of body bashing fun. The game has some of the smoothest graphics I have ever seen on any sports game and features all of the boxers from the Rocky films as well as many new faces just to spice things up. A truly great games this and thoroughly deserves the five stars the team here at Game Reviews has given it. 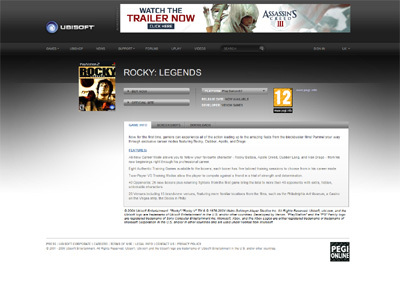 We have also compiled a Review System for this, of which Rocky Legends is Rated as Five Stars, the highest possible score available from the Game Review Team. Rocky Balboa sees the world famous and best selling movie story finally land on the Playstation Portable and oh boy does this game deliver perfectly. The game will test you to the max as you attempt to guide rocky against his greatest foes such as Clubber Lang, Ivan Drago and of course the infamous Apollo Creed. The game has really good graphics throughout and is a very good game all round. 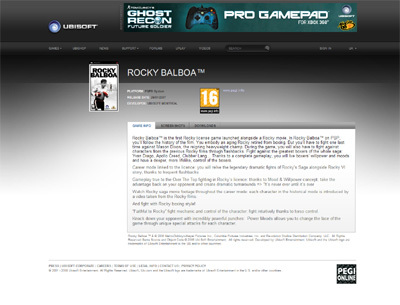 We have also compiled a Review System for this, of which Rocky Balboa is Rated as Three Stars, the third highest possible score available from the Game Review Team. Boxing Manager is a revolutionary new boxing game that instead of placing you in the ring yourself as a fighter allows you to manage various fighters from around the world all the way to the title. The game is very innovative and is a refreshing change from the usual boxing games and I found it to be very good in every way and would definitely recommend it to all. We have also compiled a Review System for this, of which Boxing Manager is Rated as Five Stars, the highest possible score available from the Game Review Team. 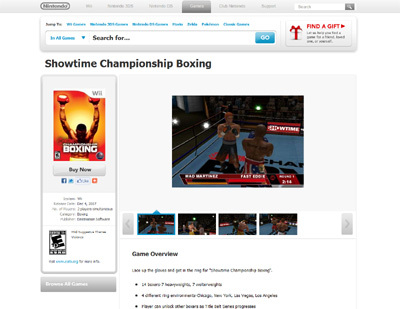 Showtime Championship Boxing which is available exclusively for the Nintendo Wii is a great new boxing game that has had mixed reviews from the gaming world. I have found it to be good at best as the graphics are not the best in the world but saying this the game is very addictive which in many ways makes up for this. We have also compiled a Review System for this, of which Showtime Championship Boxing is Rated as Two Stars, a fairly good score from the Game Review Team. Fight Night Round 4 is by far one of the best boxing based games I have ever had the pleasure of playing and I cannot recommend the game enough to my fellow gamers. The graphics are visually stunning and so realistic you actually feel like you are in the ring and the career mode is so addictive that you will just not want to stop playing it which has caused many an argument at home. 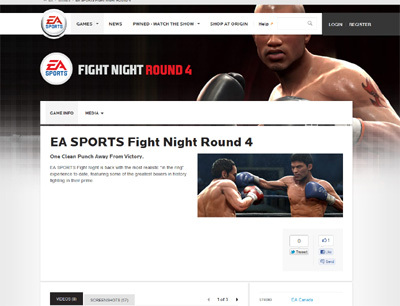 We have also compiled a Review System for this, of which Fight Night Round 4 is Rated as Five Stars, the highest possible score available from the Game Review Team. 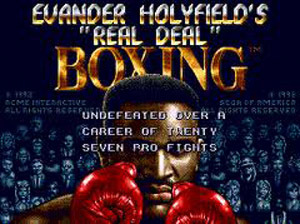 Don King Prizefighter is the first edition of this much loved video games from one of the most notable figures in world boxing today. The game features excellent graphics which make the fighters like life like and the game play is also very very good ensuring the realist possible felling to the game as a whole. 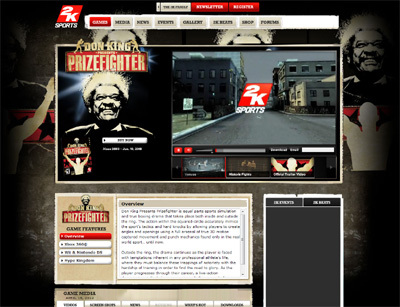 We have also compiled a Review System for this, of which Don King Prizefighter is Rated as Four Stars, the second highest possible score available from the Game Review Team. 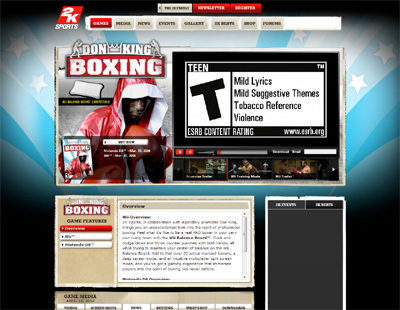 Don King Boxing is a rather interesting and unique boxing game from 2K Games which has received many mixed reviews from critics around the world. I have played this game extensively and found it to be very good indeed and very addictive as myself and a couple of members of the team found out after ten straight hours of game play. We have also compiled a Review System for this, of which Don King Boxing is Rated as Three Stars, which is an excellent score from the Game Review Team. Fight Night Champion is part of the biggest boxing game franchise of all time from leading industry developers EA Sports and it has reached unrivalled heights since its first release. The game is one of the most smooth running editions of the game and features the very best graphical content making the whole experience that much more realistic and addictive. 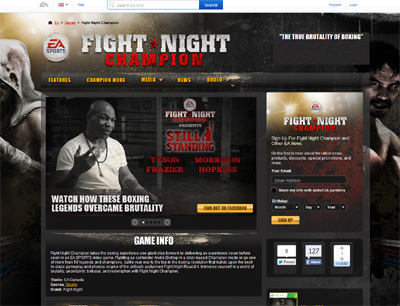 We have also compiled a Review System for this, of which Fight Night Champion is Rated as Five Stars, the highest possible score available from the Game Review Team.